Our Quilt Show has come and gone. It was wonderful to see the crowds filling the aisles and view so many beautiful works of art. In my eyes, everyone was a winner. 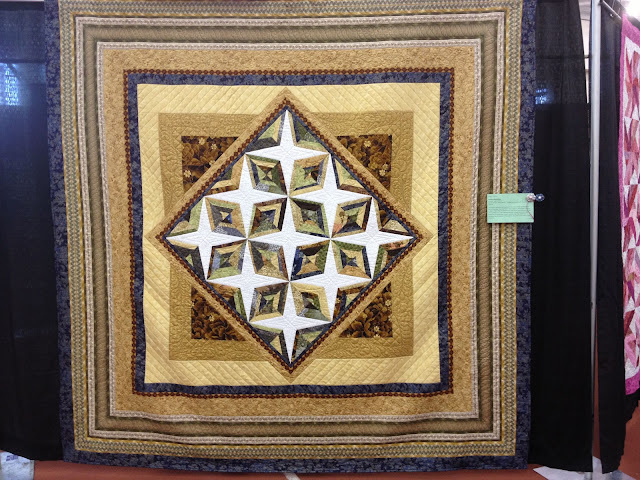 As I wandered, a few quilts caught my eye and I clicked a few quick pics. Looking back over those photos, there were two that I really loved - I suspect it was a combination of the colors and the design. I thought I would share those with you today. 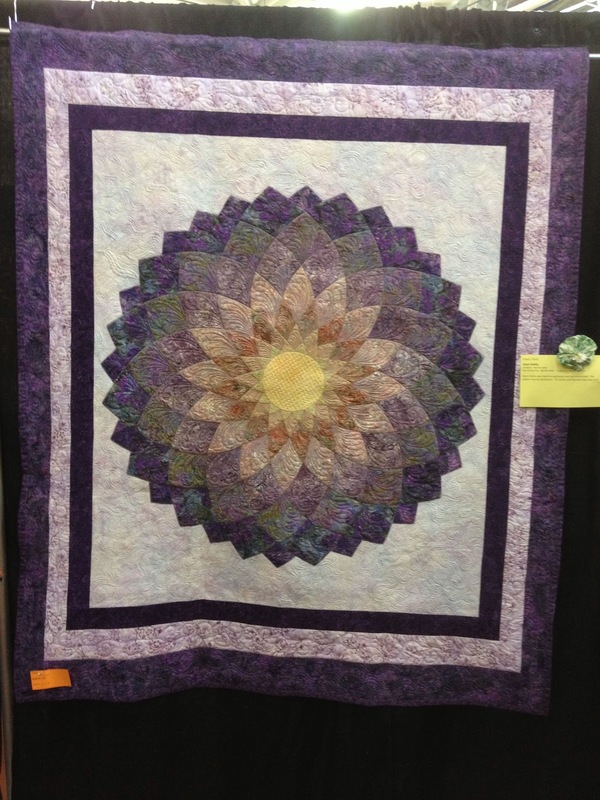 If you want to check out all the quilts that were on view, one of our members has created a Picasa Album with photos of every one of the over 600! See which ones catch your eye!